1. Tuition is due on the first of every month. If it is not paid by the 10th of every month, then a $25 late fee will be assessed. 2. Payments can be set up automatically and you will receive a 5% discount off your monthly tuition. A 30-day notification must be given to cancel. 3. In the case of insufficient funds and/ or declined credit/debit card a $35 fee will be assessed. 4. Tuition is non-refundable and no adjustment can be made for the number of days or classes in a given month or for days issued due to illness or personal reasons. 5. Make-Up Policy: If a dancer misses class, they have 2 weeks to make up that class at the same level or below. 6. If a dancer consecutively misses 2 weeks of classes without notification, they will be dropped from the class. 7. Please advise your dancer to wait in the lobby area when waiting to be picked up or in between classes. 8. Teachers reserve the right to dismiss any student from class who show lack of respect and are disruptive in the classroom. 9. New students are welcomed to try the first class in each genre for the first week at no charge. 10. We request that students carefully observe our dress code outlined in the registration packet. 11. Any student arriving more than 15 minutes late will not be admitted to class. For your safety and to receive full benefit from your class, please arrange for a make-up class if you expect to be very late. 12. Please do not leave the waiting room when very young children are in class without informing the office or having another parent responsible during your absence. We make every effort to have all children feel safe and cared for in a loving and inspiring learning environment. 13. School age children and teens: please practice respect. Students are not to be socializing in a disruptive manner during the class with other students. Respect your teachers and fellow students by giving full attention and cooperation. You will be advised if we feel any student is not well adjusted to the classroom environment for any reason over time. 14. During class if a student complains of being ill, or sustains an injury and cannot participate, the instructor will send them to the office were the parents will be notified if not on the premises. This form grants authority to a designated adult from NLDA, to provide and arrange for medical care for a minor in the event of an emergency, where the minor is not accompanied by either parents or legal guardians, and it may not be feasible or practical to contact them. This form should be completed and submitted prior to the first day of scheduled dance class. I do hereby state that I have legal custody of the aforementioned Minor. I grant my authorization and consent for _____NLDA______(hereafter "NLDA") to administer general first aid treatment for any minor injuries or illnesses experienced by the Minor. If the injury or illness is life threatening or in need of emergency treatment, I authorize the Designated Adult to summon any and all professional emergency personnel to attend, transport, and treat the minor and to issue consent for any X-ray, anesthetic, blood transfusion, medication, or other medical diagnosis, treatment, or hospital care deemed advisable by, and to be rendered under the general supervision of, any licensed physician, surgeon, dentist, hospital, or other medical professional or institution duly licensed to practice in the state in which such treatment is to occur. I agree to assume financial responsibility for all expenses of such care. It is understood that this authorization is given in advance of any such medical treatment, but is given to provide authority and power on the part of the NLDA in the exercise of his or her best judgment upon the advice of any such medical or emergency personnel. 3)	Hair pulled back at all times. 5)	Manners-No Talking! No Sitting Down! No Acro unless in Acro class! Pay Attention! 7)	Remember you are here to TRAIN. I understand that dance classes may include, without limitation, dancing with props, stretching, barre work, across the floor combinations, dance routines in the center, acrobatics, and other related activities. 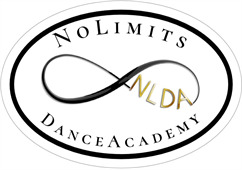 I further understand that all of the activities of the dance class involve some degree of risk of strain or bodily injury and do not hold NLDA or any of its staff responsible for any injury that may occur. In the case of any incident arising all parties involved agree to enter into arbitration to settle any disputes. All participants must notify NLDA of any incidents immediately. NLDA is not responsible for personal property. I hereby grant permission to the rights of my child's, children, or my image, likeness and sound of voice as recorded on audio or video tape without payment or any other consideration. By signing this release, I understand this permission signifies that photographic or video recordings of my child(ren) or myself may be electronically displayed via the Internet or for NLDA marketing purposes. Integrity: To conduct oneself with honesty, courtesy, and respect. To express consideration for one's fellow dancers, educators, parents, staff and competitors. To be a person who leads by example and honors commitments. To be a person other people can count on. Leadership: To guide, direct and influence people in achieving their highest goals and ideals. By setting an example through one's actions and speech. To inspire and serve the people of your class, team, or community through full participation in all dance related activities.